PHMSA has made a proposal to terminate previously approved M-numbers and R-numbers that were issued without an expiration date. Unless approval holders can either show why their approvals should not be terminated as provided in 49 CFR 107.713(c)(1) or apply for a modification of their approval in accordance with 49 CFR 107.705 prior to the effective date, their M-number may be considered expired. Modified approvals will conform to the Approvals and Permits Division’s standardized format in which all approvals have a 5-year expiration date. 49 CFR – There’s an App for that? Technology is everywhere we look now. Think about some of the advertisements on television you see for what is available today in the realm of technology. There is the refrigerator that sends you pictures of its insides and keeps your grocery list. A device that can regulate your thermostat, turn on your lights, and send you reminders about events. Cell phones can now stream videos, search the internet, pay your bills, and still make calls. All of these are just in the past year. Think back about ten years ago. It doesn’t seem that long ago, now does it? It is around this time that the iPhone craze was starting. In 2008 the iPhone 3G was released. As the second generation of iPhone, it came preloaded with such features as a GPS, special email capabilities, and the App Store. App stands for Application. It is from the App Store that people could download various tools, games, and software. Around this time, Apple began to advertise with the slogan, “There’s an App for that”. You can watch one of the original commercials here. An experienced shipper knows that in order to be compliant for HazMat or Dangerous Goods shipping, packaging designs have to be subjected to performance testing. In fact, this should be something that even new shippers learn during their training. This testing is meant to simulate conditions that the package could encounter during typical transport operations. Did you know that there are requirements to be followed even after the testing is complete and the packaging is marked as meeting the appropriate specifications? In a game of Simon Says, all players must do whatever Simon says. 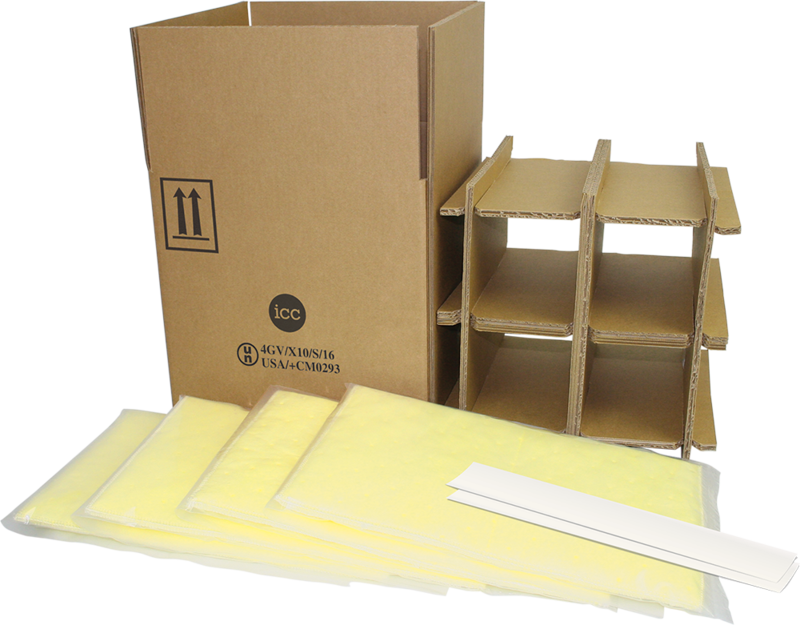 Packaging manufacturers are like Simon, they must provide proper instructions to customers so that they are able to assemble and use the packaging correctly. The packaging must be assembled in the same manner as it was during the testing process. If not, the shipment could be considered non-compliant.